The Library recently hired Spencer Roberts to provide consultation and support for digital projects, research, and publication. Conveniently located in CURVE on the 2nd floor of Library South, Spencer’s office is open to faculty, students, and staff who have questions about what’s possible with digital scholarship, have ideas about digital projects, or would like support for an existing project. Anyone seeking a partnership with the Library on a digital project can schedule an appointment or drop in to discuss opportunities. 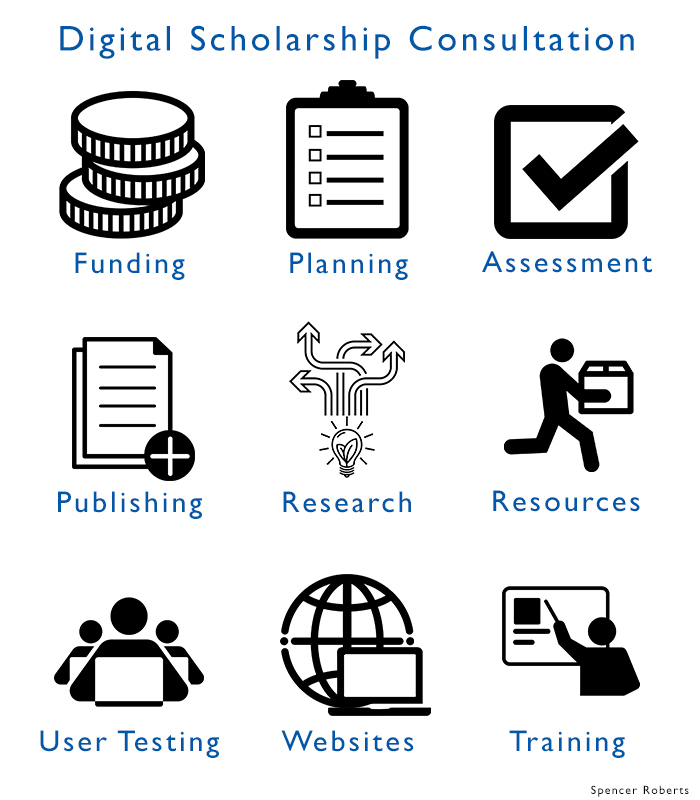 Digital project consultation can include topics such as funding, planning, assessment, publishing, research methods, resource management, user testing, web hosting, and training. 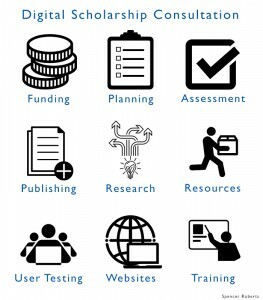 Below is a partial list of digital methods and tools for which Spencer can provide support and training. If you have specific interest in a new tool or method not shown here, contact Spencer to discuss how we might expand our list and learn together.